A perfect read for February especially if you like a well done, thoughtful mystery. The town of Saranac Lake in upstate New York is getting ready for their annual Ice Festival when a body is found frozen in the lake. Troy Chance knows who it is and is caught up trying to find out how he got there. The novel is filled with interesting small town characters and has a wonderful sense of place. I am definitely going to read more from Sara J. Henry. 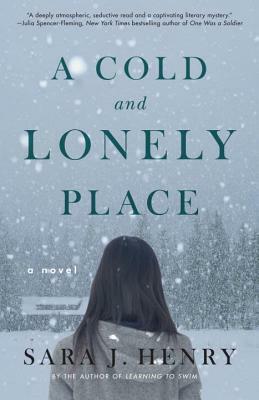 While she's watching the crew build the Winter Carnival ice palace, Troy Chance sees a body encased in the frozen lake—a man she recognizes as the boyfriend of one of her roommates. When she is assigned to write a feature on his life and mysterious death, Troy discovers he was the missing son of a wealthy Connecticut family. Trying to unravel what brought him to this Adirondack village, she joins forces with his girlfriend and his sister, who comes to town to find answers. But as Troy digs deeper, it’s clear someone doesn’t want the investigation to continue. And when she uncovers long-buried secrets that could shatter the serenity of the small town and many people’s lives, she’ll be forced to decide how far her own loyalties reach.